60 to change your mind ! You can ask for an exchange, credit or refund. Products must be in their original condition with their brand tag and unwashed. Damaged products will not be accepted. Return charges will be at your cost. Exchange of a higher amount, the difference will be paid by you. Exchange of a lower amount, the difference will be refunded. The refund will be done within 1 week after receipt and validation of your return. 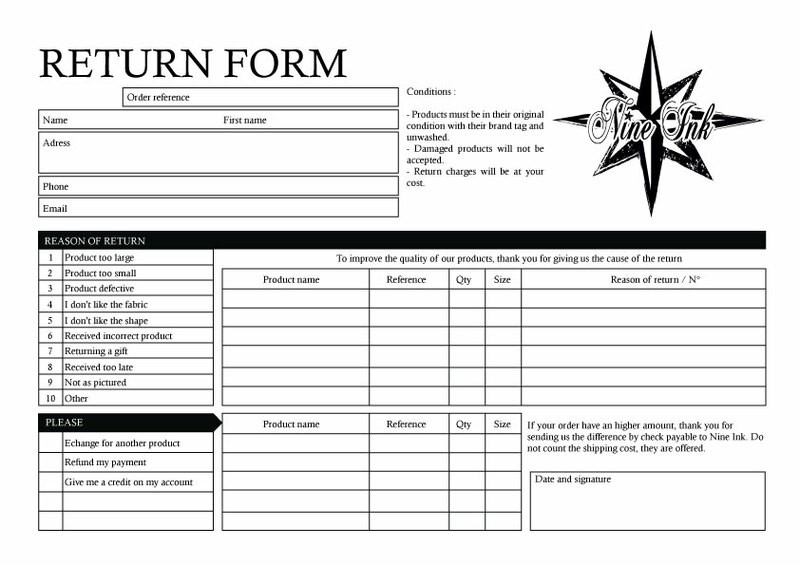 Download and complete the return form. Carefully pack the product in their original packaging or other solid packaging. We recommend you use a registred mail, Nine Ink can't be held responsible for loss.